A great place to "Learn to play" for beginners & weekly training for Intermediate Lacrosse Players (formerly Lumberjack Lacrosse Academy) open to boys in the 1st thru 8th grade who want to play on Sunday’s in the fall and get an edge on their competition. 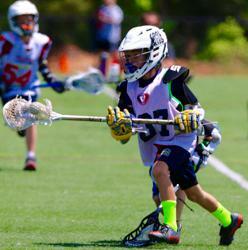 The Sunday Fall Lacrosse Academy is six weeks of excellent coaching designed to improve individual and team skills. Each meeting is two hours (beginners go for 90 minutes). The first hour includes quality instruction and skill development. The second hour is the chance to sharpen those skills in lacrosse games against players in your division. The academy is appropriate for the beginner as well as the experienced lacrosse player. Players are grouped by age and ability. COST $295 per player (plus applicable credit card fees). WHAT YOU GET The registration fee includes six dates of expert instruction from some of the areas best coaches as well as current and former collegiate players. Players also receive a program reversible jersey, and t-shirt. STAFF Team Carolina Sunday Lacrosse Academy is run by our Youth Director, Jamie Schmidt. Coach Schmidt, of Providence Day School, is joined by some of the areas best high school coaches and staff members. Due to the anticipated number of students wishing to participate, registration forms will be accepted on a first come, first serve basis. While we will make every attempt to reschedule dates that get canceled due to severe weather, we can not guarantee they will all be rescheduled. Kindly note that all the information above is accurate at the time of posting to the website and that all the information contained is subject to change based on final registration numbers, field contracts, and a number of other unforeseen factors that impact the administration of lacrosse leagues and programs in the Charlotte area.